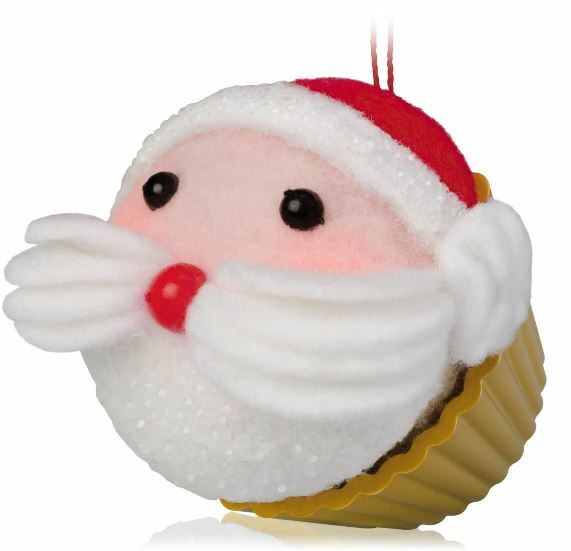 New for 2014 in the Christmas Cupcake series is a sweet St Nick cupcake. This ornament is artist crafted and fabric. Size: 2" x 2 1/8"